Five Ontario lawyers and one BC lawyer have notified us that they’ve received emails from the purported Barbara Duckett looking to retain them with regards to a breach of a business loan agreement. This is similar to other frauds of this kind we have seen. For a full description of how this fraud works and to see other names attached to it, see our Confirmed Fraud page that deals with business load frauds. I am inquiring about the possibility of your firm representing me in the litigation of a breach matter in the amount of $486,950.00.Please advice if this is your area of practice so I can forward you copy of the documents and full information of the debtor Mr.Peter Ivanov. The Borrower is someone I have known for a few years and we have done business in the past without any issues.He has only paid $65,000 out of a total ($389,000) the balance is still outstanding till this day. I am in constant contact with him and even though he has promised to pay the balance, I think the threat or possibility of litigation would serve as a catalyst to make him pay sooner rather than later. 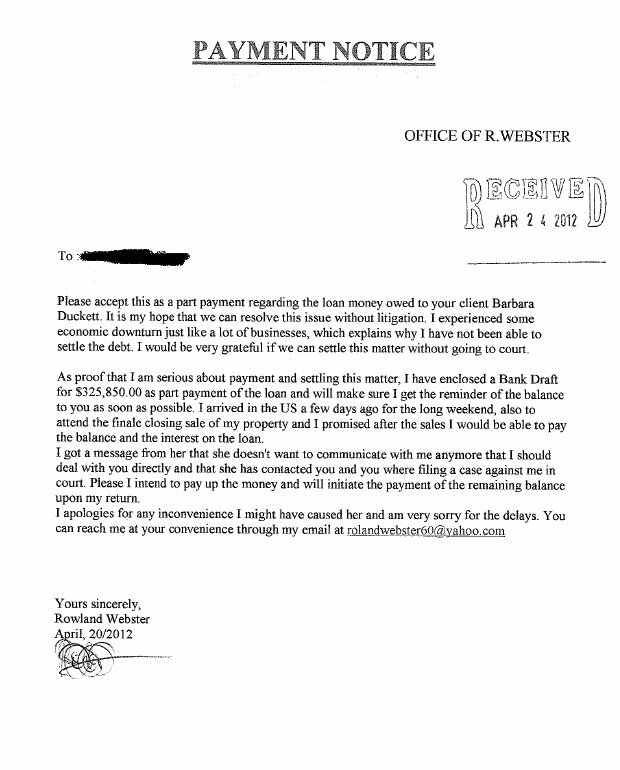 a non-litigation collection from the borrower but I am prepared to litigate this matter if Mr.Webster is not ready to pay the balance owed on the loan agreement. I have attached to this mail a pdf version of the loan agreement promissory note for your perusal.Please send me a copy engagement letter so that we can proceed with this issue with Mr. Webster. I want to also let you know that as a owner of a small business,this loan that I gave to him has caused considerable strain on my operational capital. Thanks for the heads up. 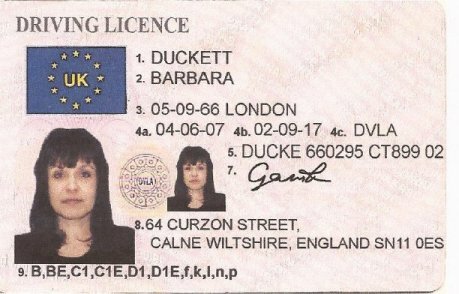 I was contacted by “Barbara Duckett” today.